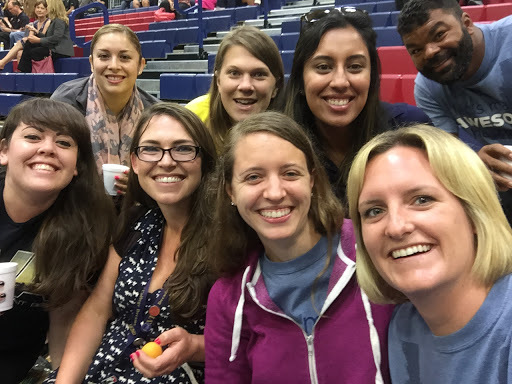 Started off 2015-2016 with a district-wide teacher/staff rally! The 2015-2016 school year was the busiest school year I’ve ever experienced, in all my years as a student and as a teacher. Busier than 10th grade with Mrs. Gatewood for English. Busier than the year I did my masters and credential, student taught, was a TA for the lower division Education Studies class, and was an RA for graduate housing. I have no idea how I survived this year, but I did it! However, it’s not a badge of honor I’d like to wear, especially when I have multiple people coming up to me telling me I need to stop working so hard. Noted, friends. Next year there will be lots of personal mindfulness activities planned to keep me from working 24/7. SO many great things this year. I’m thankful for all the wonderful opportunities and incredible people that have come into my life this year. Breakout EDU – So it is well-known among my friends and colleagues that I am absolutely Breakout EDU obsessed! I ran my first game with students in February (read more here), and introduced it to my Tech Tuesday lunch crew in March. It has been so cool to have students dive into learning, and be excited. Even though my students weren’t successful on their first time, they begged to do another one. The conversation afterward allowed students to express their successes and frustrations, and brainstorm on how they can problem solve more effectively in the future. 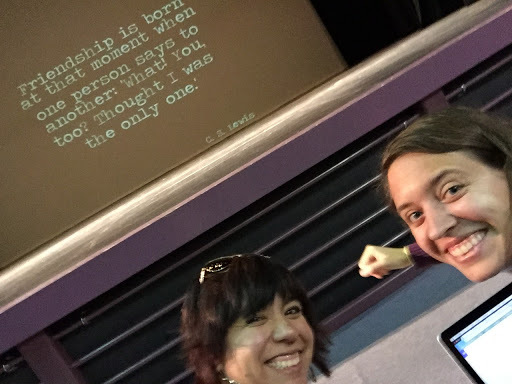 Met my partner in crime and awesomeness in real life!! Met the one and only Greg Bagby while in Nashville! Breakout EDU Digital – In March, Justin Birckbichler and I took our Breakout EDU obsession to the digital world, and created Breakout EDU digital games. 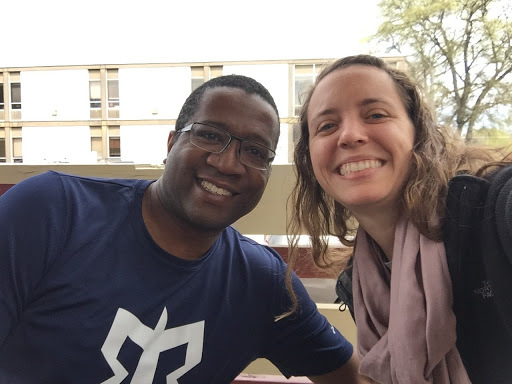 Soon after, we were contacted by the one and only James Sanders to officially become Breakout EDU Digital (read more here). Since then, we’ve created 16 games, established a sandbox of user-created games, and presented at conferences. FlyHighFri – In July we started #FlyHighFri (read more here) to celebrate the positives at school, and to combat the negatives we face each day. I’m incredibly thankful for Nicole Link for hosting us in her classroom each week, and sending out a reminder email. EduRoadTrip – Last July, Justin Birckbichler, Greg Bagby, and I released the first episode of the EduRoadTrip podcast. We have had a blast interviewing all kinds of teachers from around the United States and Canada, and meeting them at metaphorical places around the country. Through this process, I’ve grown in my confidence and ability to speak in front of an audience (even if that audience is asynchronous). At first, I was terrified to have my voice out on the internet and have people hear me; now, I don’t feel that nervous energy as we’re about to start an interview. Science – As always, I had so much fun with my science kids this year doing hands-on activities and labs. This year was tricky because I was working on so many amazing projects, and I had to keep reminding myself not to abandon my first love. I’m thankful for my science students for learning and growing along with me; we participated in many great opportunities beyond what was in our standards, including growing tomato plants for Tomatosphere, chatting with real scientists through I’m A Scientist, and using photography to dive deep ecology and animal adaptations through the San Diego Museum of Photographic Arts. AVID 7 – I was lucky enough to teach two periods of 7th grade AVID. It was wonderful to have some of my AVID kids also in science, which allowed me to get to know them even better. Some of the highlights in AVID include career projects and mock interviews, Genius Hour projects, and college field trips to San Diego State, UC Irvine, CSU San Marcos, and UC San Diego. Blended Learning Specialist – This year I had .2 (one class period) as a “Blended Learning Specialist” where I had the opportunity to share my love of technology with my colleagues, and help them implement technology (we’re 1:1 iPad) in a meaningful and useful way. Every Tuesday, we celebrated Tech Tuesday at lunch, and shared tech tools, lesson successes, brainstormed new ideas, and troubleshooted things that didn’t work as planned. Additionally, once a month, I hosted a Parent Tech Breakfast to share how we use technology at school, and teach parents how to access technology, such as our online gradebook, to help their students. 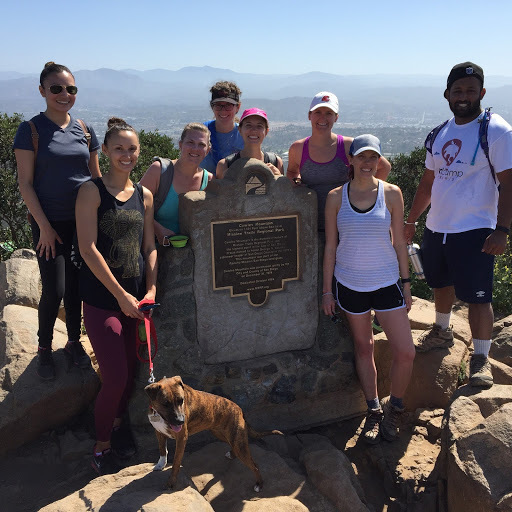 EduHike – In April I hosted the first ever official #EduHike (read more here) at Cowles Mountain. I’m hoping to plan another one for August. There’s nothing like outdoors and less screen time to stimulate our brains. 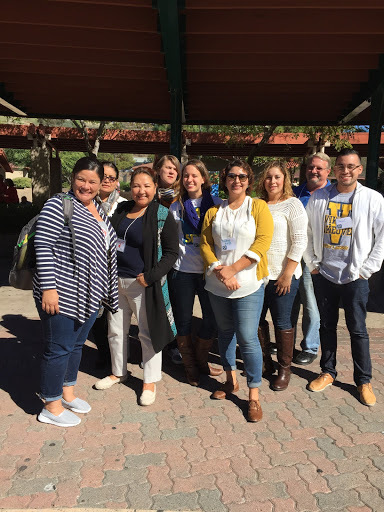 Conferences – This year I attended and presented at some amazing conferences, including California Science Teacher Association conference, Fall CUE, SDCUE Tech Fair, EdCamp Silicon Valley, GAFE Summit LA County, National CUE, NSTA, San Diego Science Education Conference, GAFE Summit Imperial Valley. Next year looks just as packed with conferences. Can’t wait for even more learning opportunities! Other Edtech ventures – I passed the Google for Edu Certified Teacher Level 1 & 2 tests last summer and fall, and was onboarded as a Certified Trainer last December. 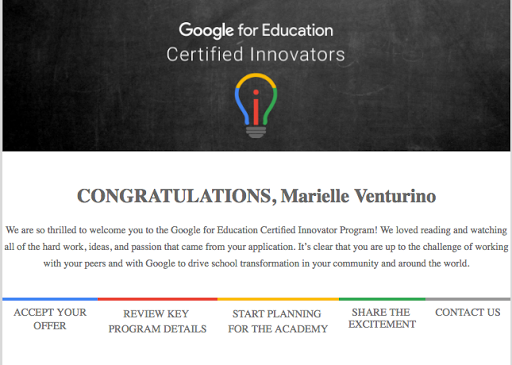 In May, I was accepted to the Google for Education Innovator program!!!! I’m so excited to join my #COL16 cohort in Denver at the end of June. 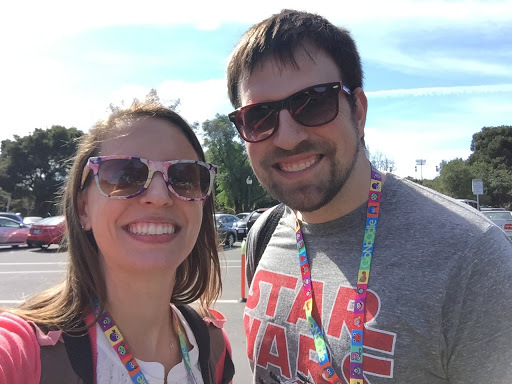 Additionally, Ari Flewelling and I started EdTech Adventures with Ari & Mari (episode 1 & episode 2), an informal and somewhat goofy YouTube series of us talking about edtech things. New friends!! – It’s always amazing to meet members of my PLN in real life! You all are the “how” to my “why.” Thank you doesn’t even begin to express how much you all mean to me. What did I learn from all of this? A few important lessons: First and most importantly, I need to take care of me (including the boyfriend and the dog) so that I am able to take care of those around me. Second, connecting and sharing are essential for growing myself as a teacher and learner. Third, I love what I do, and I always have to keep my students’ needs as my main priority. to go back because you need a selfie. PS. It took me over a week to write this post. I hypothesize that the amount of awesome in the last 12 months is slightly overwhelming and hard to process in just one sitting!